No matter what type of restaurant you run, you know the importance of chef uniforms. Keeping them clean and tidy helps them last longer, even when you are renting uniforms for your employees rather than buying them outright. 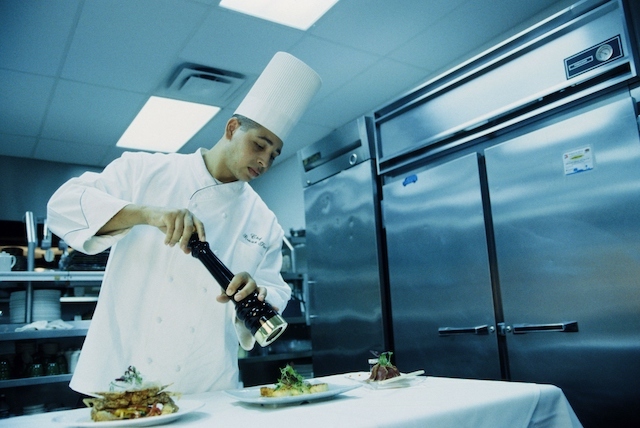 Here are some tips for taking care of all the chef uniforms you have on hand. First of all, by choosing higher-quality uniform pieces from more reputable vendors, you will be much happier with the results. You want all of your chef uniforms to look crisp and clean no matter how you got it in the first place. Although better quality pieces are more expensive, they will end up paying for themselves because they are softer, more durable, and most importantly, easier to take care of; plus, they’re also more comfortable to wear. Your kitchen staff are going to be under severe levels of pressure and stress every shift, so you want to be sure that they’re wearing something that won’t make them uncomfortable, allowing them to concentrate better on the task at hand. Next, start paying closer attention to the care instructions. These instructions can be found on the labels attached to all parts of the chef uniforms you order. In particular, the chef coats cannot be included in a regular load of street clothes. By reading the labels, you can find out how you should wash and dry the different components, to ensure that they don’t stain, fade, warp, or discolor while in the wash. Aprons, hats, and jackets also have different needs, so it’s even more important to read the labels on them. Cleaning the stains on your chef uniform is also extremely important. Front of the house and back of the house kitchen employees, whether they are servers or cooks, will have to deal with stains and spills at some point in their day. So it should come as no surprise that chefs will have to treat stains as well. Remove any solid bits of food debris to minimize staining, and then use some club soda to help lighten the stain. Make sure that the stain is completely lifted before anything goes in the dryer, so that the stains don’t set.